Gymnema Sylvestre is a natural herbal supplement that is used as a natural way to decrease blood sugar levels, lower triglycerides and help to fight obesity. When taking Gymnema Sylvestre , one has to be very careful of the very serious side effects that can occur so it has to be closely monitored (3 Health and Dietary Benefits of Gymnema Sylvestre). Gymnema Sylvestre has been found to help control blood sugar levels in patients with type I and type II diabetes. Research has confirmed that the main ingredient in Gymnema sylvestre, gymnemic acid, blocks the taste of sugars and artificial sweeteners (Franco). Gymenemic acid is able to block the taste of sugars and artificial sweeteners because its molecular structure is almost identical to that of sugar. 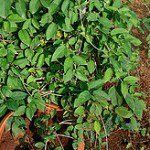 When Gymnema sylvestre is consumed, it satisfies the body’s sugar cravings which naturally keep blood sugar levels low. Gymnema Sylvestre has also been found to block the pathways in the body that are responsible for absorbing sugar which alter blood sugar levels (Franco). Gymnemic acid is absorbed by the villi in the small intestine which prevents sugar from being absorbed. It has also been found that Gymnema a Sylvestre can improve liver and gastrointestinal function as well as maintain a healthy weight. Since Gymnema Sylvestre helps to lower blood sugar levels, hypoglycemia may occur (Uddin). 3 Health and Dietary Benefits of Gymnema Sylvestre. 3 fat chicks on a diet, 18/10/2010. Web. 2 Jul 2012. “Health and Wellness Library: Gymnema.” . Nutri Herb, 02/07/2012. Web. 2 Jul 2012. Franco, Virgina. Does Gymnema Sylvestre Help Control Blood Sugar?. Livestrong, 26/04/2011. Web. 2 Jul 2012. Uddin, Rae. What are the side effects of Gymnema Slyvestre?. Livestrong, 07/2/2012. Web. 2 Jul 2011.